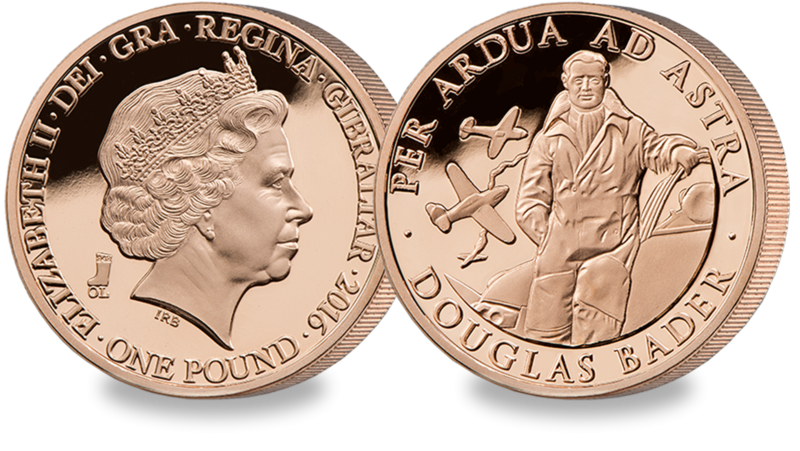 Celebrates the extraordinary life and achievements of the most legendary pilot in the history of British aviation. The RAF’s motto, ‘Per adua ad astra’ (‘through adversity to the stars’) graces the outer ring of the design. 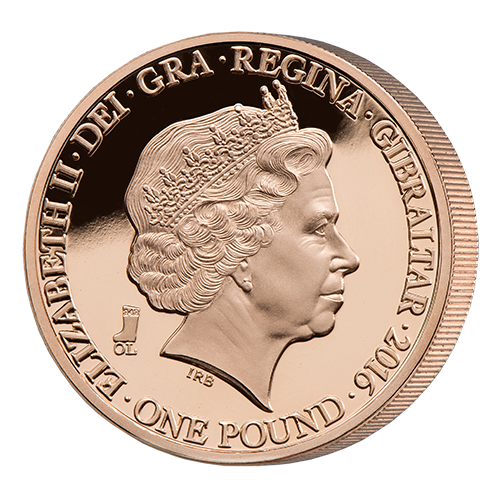 ● £1 Piedfort Coin – double thickness. 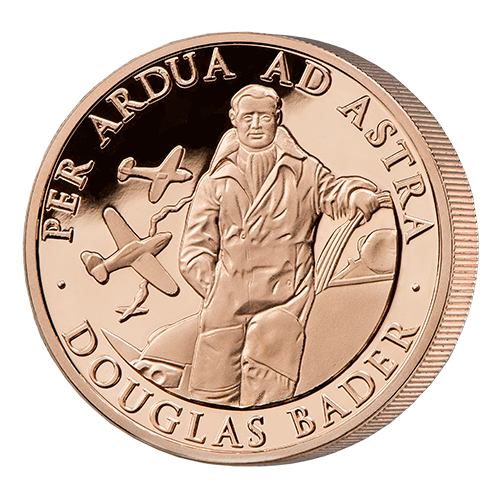 ● The RAF’s motto, ‘Per adua ad astra’ (‘through adversity to the stars’) graces the outer ring of the design. Last year was a particularly significant one for the history of Douglas Bader. It was 40 years since he was knighted by Her Majesty the Queen, and it was also 75 years since his aircraft was shot down over France – an episode that led to an astonishing secret operation entitled ‘Operation Leg’. Forced to bail out while flying a Spitfire over northern France in August 1941, his right prosthetic leg became damaged and Bader was forced to leave it behind. Once captured, he was treated with respect and some reverence by the Germans, who notified the British and offered them safe passage to drop off a replacement leg. None other than Hermann Goering, head of the Luftwaffe, approved the operation, and on 19th August 1941 an RAF bomber was allowed to drop a new prosthetic leg by parachute to a Luftwaffe base in occupied France.